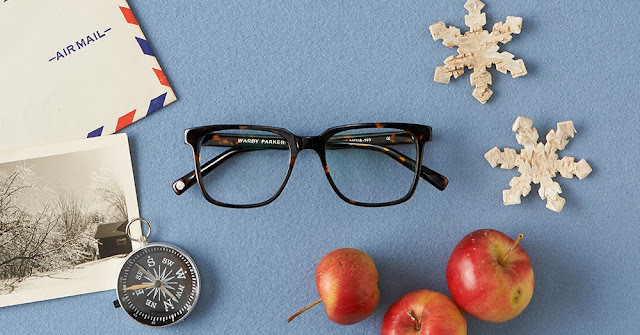 Warby Parker has this mysterious way of combining a lifestyle I aspire to into an eyeglass frame. Their frames speak of adventures and books and stories. They speak of things that have already happened and things that you hope will happen while you wear the glasses. Their Winter Collection just launched today and I had to show you my favorites, in case you're looking to wear some adventure on your face. I'm pretty sure they need to pay me for that "Wear adventure on yo' face, yo!" has cache, don't you think? Langhorne in Whisky Striped Evergreen: looks great on brunettes. Seymour in Tennessee Whiskey: classic and sophisticated. and my very favorite, the Webb in Saddle Russet: the perfect mix of quirky and classic. 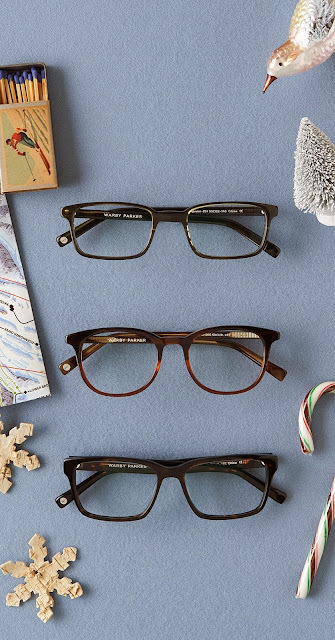 In Warby Parker Winter Collection frames, I could make my Christmas list and check it twice. But I probably wouldn't need to, since I'd see it so clearly the first time. I've been wanting a new pair of Warby Parker's! This collection is great. I'll have to add them to my Christmas list! I love your picks! I've been wearing a pair of WP tortoise shell Fitz glasses since early summer and I'm in love with them. The winter collection is amazing.